For all the boons and benefits that city life affords, getting around can be a nightmare at the best of times. For instance, if public transport is your preferred method of travel, you are often at the mercy of late buses and cancelled trains. Taking matters into your own hands doesn’t always work either, especially if you drive a car, with endless traffic jams and a lack of parking causing even more problems. 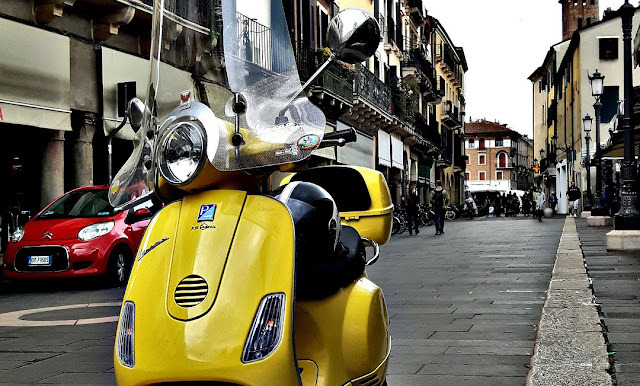 Thankfully, scooters offer a viable alternative to both and are perfectly suited to meet the demands of living in a city. Here with more insight into the advantages is Piaggio scooter dealer Metropolis Motorcycles. Not only do scooters cost less than cars of a similar age, they are also much cheaper to run. This is because their smaller engines are more economical, with 125cc engine models only costing around 10p per mile to run. You can also enjoy significantly cheaper insurance premiums, which are usually astronomical for cars due to the dangers of owning one in the city. The fact that scooters rely on simple technology means servicing, maintenance, and repairs won’t break the bank either. Thanks to a scooter’s small and svelte dimensions, you will find it incredibly easy to negotiate heavy traffic. During rush hour, there is no need to wait in line either as you can simply overtake or weave through stationary cars. Even so, you should always obey road rules and the Highway Code at all times. This, along with common sense when negotiating jams or congestion, will help you to avoid accidents and injury. When driving a car in the city, you sometimes have to plan your journey ahead of time to avoid being late or even to organise a parking space. However, the same cannot be said for riding a scooter, which offers excellent convenience. All you need to do is pop on your helmet and off you go. You are extremely unlikely to encounter problems along the way, while parking is always readily available and, more often than not, free. As well as affordable running costs, owning and riding a scooter can help you to save money in other ways. This is especially true in cities that charge road users a fee to enter the centre in order to reduce pollution levels. Take London for example, where scooters do not have to pay the congestion charge. Plus, if you have concerns about your carbon footprint, scooters produce 72 per cent less CO2 than the average car anyway. Last but not least, one of the biggest advantages to driving a scooter when living in a city is the fun and enjoyment it provides. As opposed to being cooped up in a car or on public transport, riding a scooter affords an unrivalled feeling of freedom. What’s more, you will see the city in ways you never have before because your view is much less restricted.